After successfully turning to the Kickstarter crowdfunding website to raise capital to make their original HiddenRadio a reality. 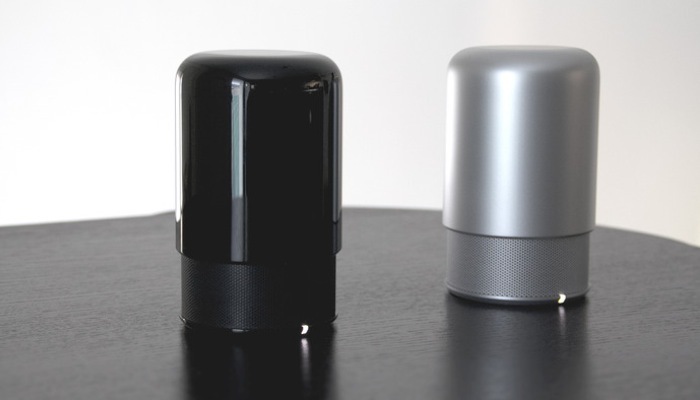 The team behind the Bluetooth speaker have now returned to Kickstarter with a newly updated next-generation Bluetooth multi speaker in the form of the HiddenRadio 2. The HiddenRadio 2 Bluetooth multi speaker now includes new technology and Builds on the feedback received from the original backers and owners of the original HiddenRadio speaker over the last 18 months. Watch the video after the jump to learn more about the HiddenRadio 2 project and see it in action. One of the great features of the HiddenRadio 2 is the ability to connect two speakers to one smartphone using the new MultiPoint feature, enabling owners to create a wireless audio set-up for their home with ease. The HiddenRadio 2 project is currently over on the Kickstarter and has already blasted past its required funding level to make it to production in just 4.5 hrs and currently stands at $200,000 pledged with 57 days still to go. So if you think HiddenRadio 2 is something you could benefit from, visit the Kickstarter website now to make a pledge and help HiddenRadio 2 become a reality.